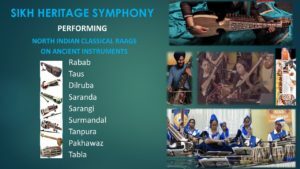 Sikh heritage symphony will be playing North Indian Classical Raag compositions on ancient instruments – Rabab, Dilruba, Taus, Saranda, Sarangi, Tanpura, Surmandal, Tabla and Pakhawaz. 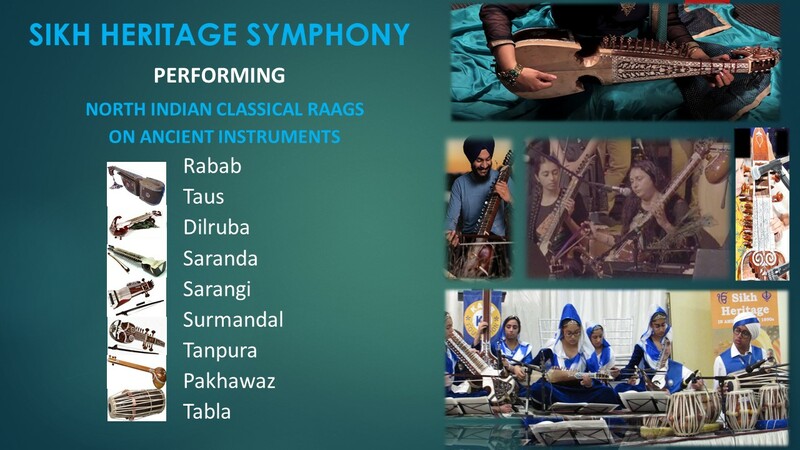 These are the instruments that are used in Sikh music from hundreds of years, most of these instruments started more than 500 years back. Some of the compositions: Raag-Mala that includes Raags from ten main Raag forms that constitute Indian classical music. 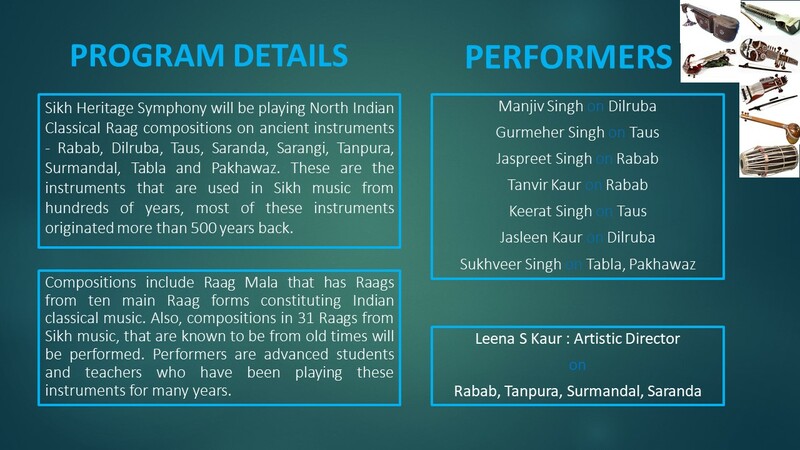 Also, compositions that are known to be from old times in 31-Raags from Sikh music will be performed. Performers are advanced students and teachers who have been playing these instruments for many years.